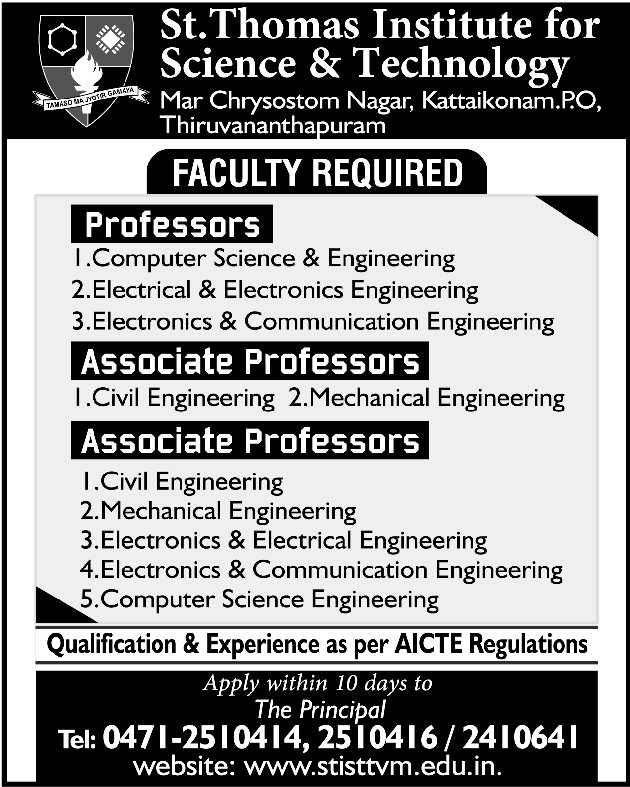 St.Thomas Institute for Science and Technology, Trivandrum has advertised in THE HINDU Opportunities newspaper for the recruitment of Professor / Associate Professor / Assistant Professor jobs vacancies. Interested and eligible job aspirants are requested to apply within 10 days from 21st November 2017. Check out further more details below. 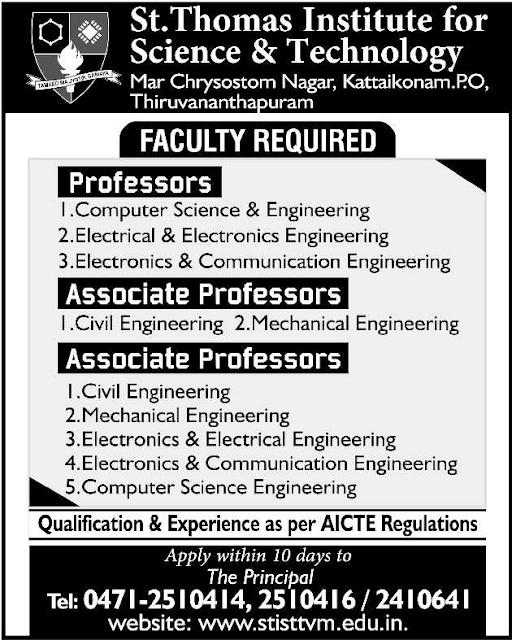 About College: St. Thomas Institute for Science and Technology (STIST) is the premier engineering education venture of Mar Thoma Church Educational Society (MTCES).The Society has an unstinted commitment to excellence in its chosen fields and has an excellent track record of establishing educational institutions of repute. With the realization of this cherished institution, MTCES is making all efforts to imprint its profile in the field of higher education in Kerala. How to Apply: Interested and eligible candidates are requested to send application along with CV, copies of certificates / mark sheets and recent PP size photo to the following postal address within 10 days from 22nd Nov 2017.